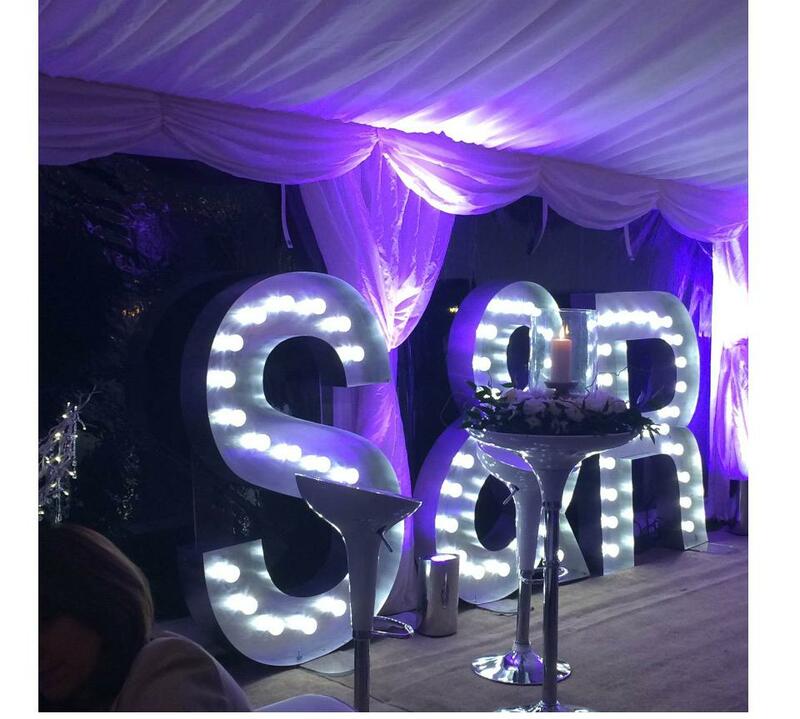 Ever thought about hiring illuminated letters for a ceremony or reception? 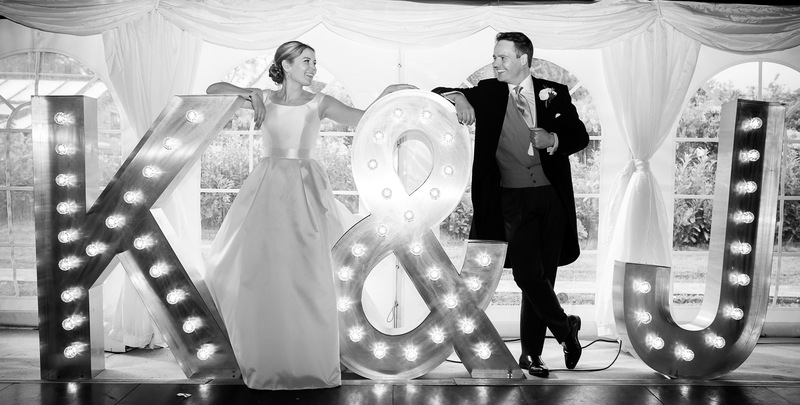 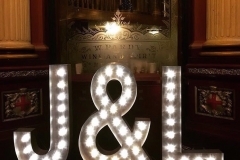 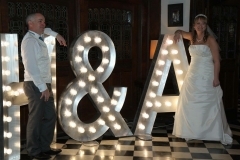 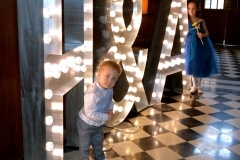 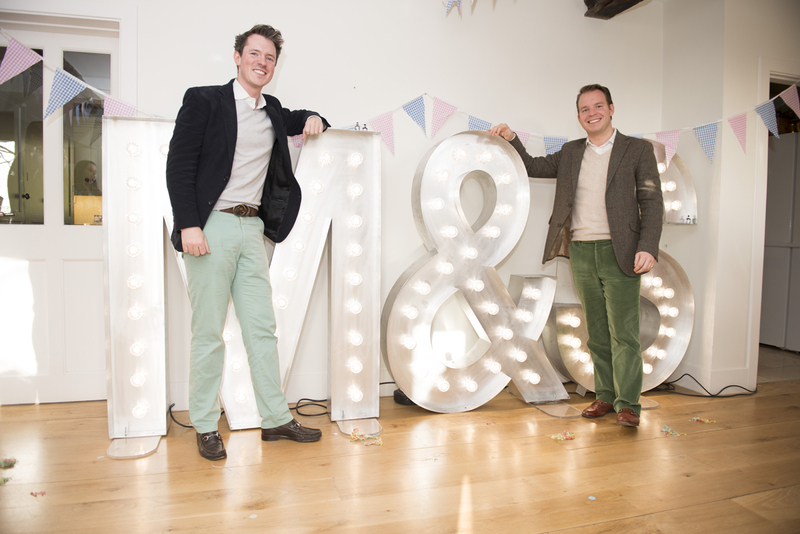 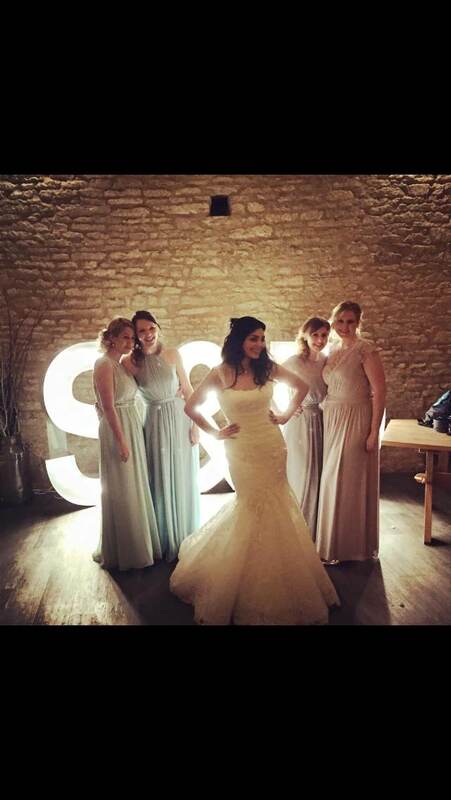 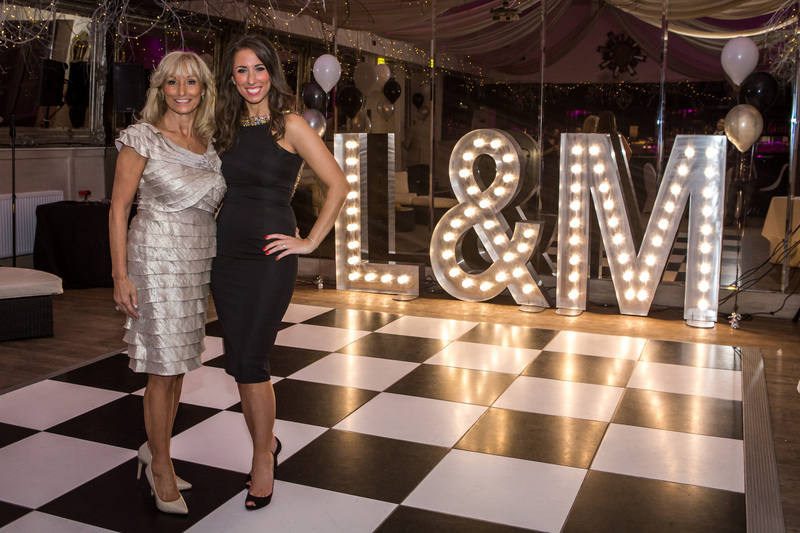 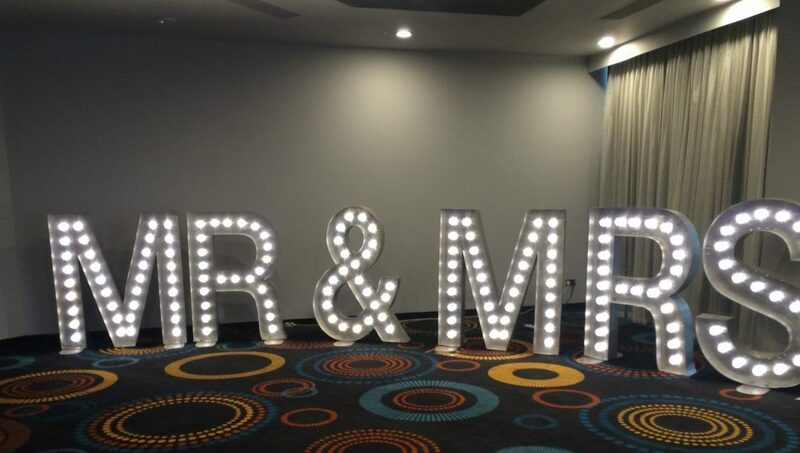 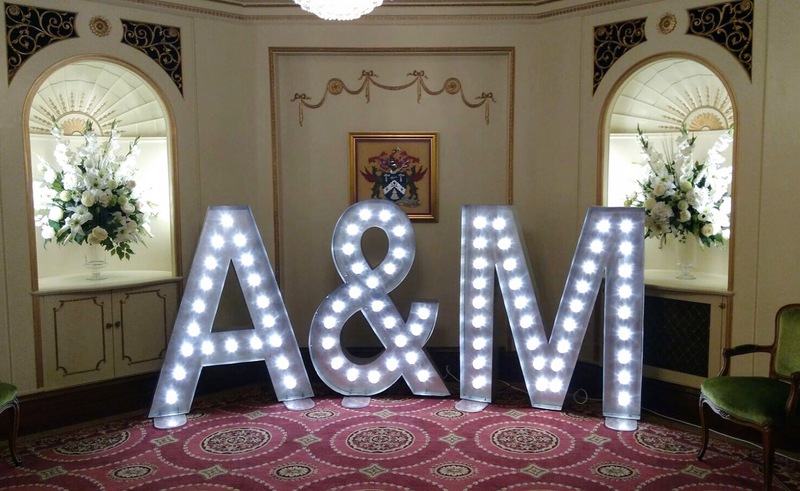 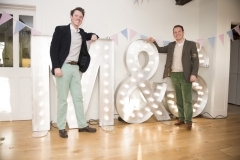 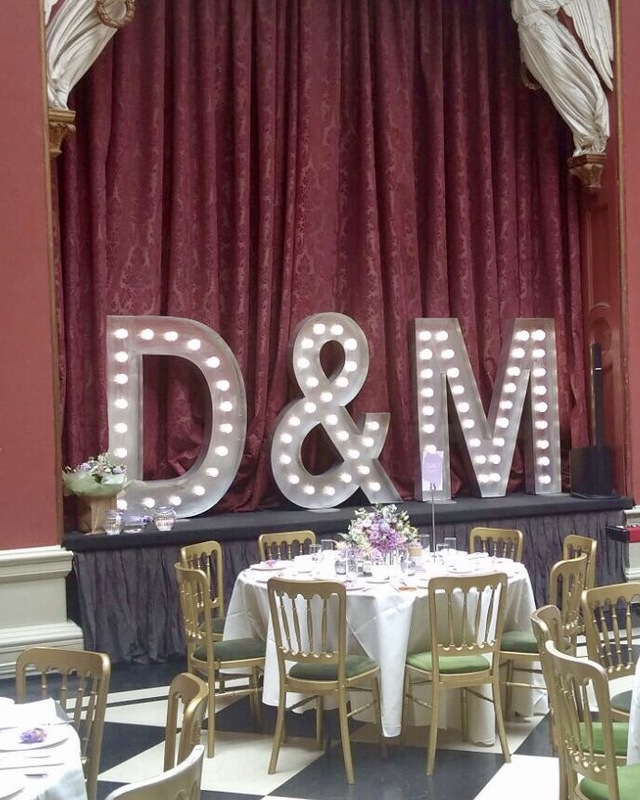 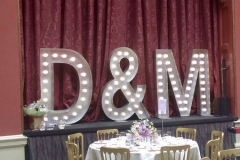 Whether you want a giant freestanding MR and MRS sign or the bride and groom’s wedding initials, our prop hire can help. 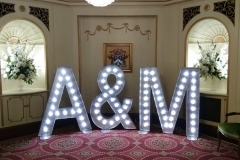 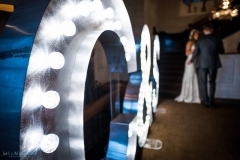 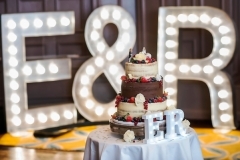 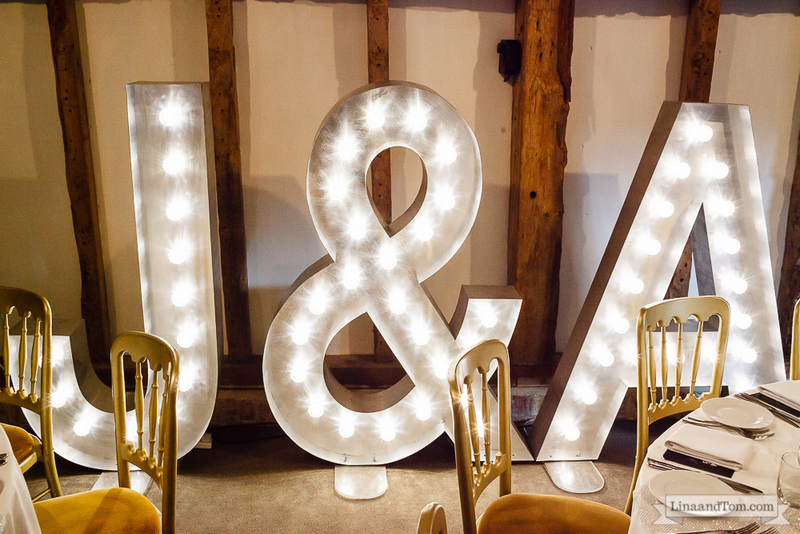 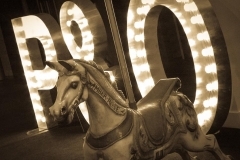 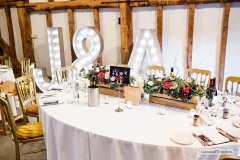 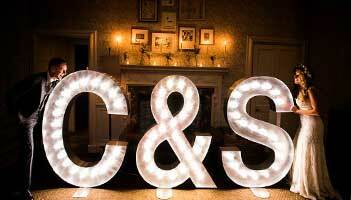 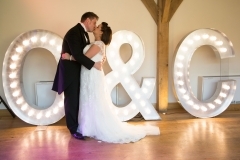 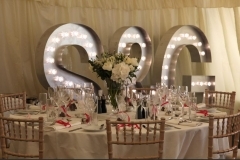 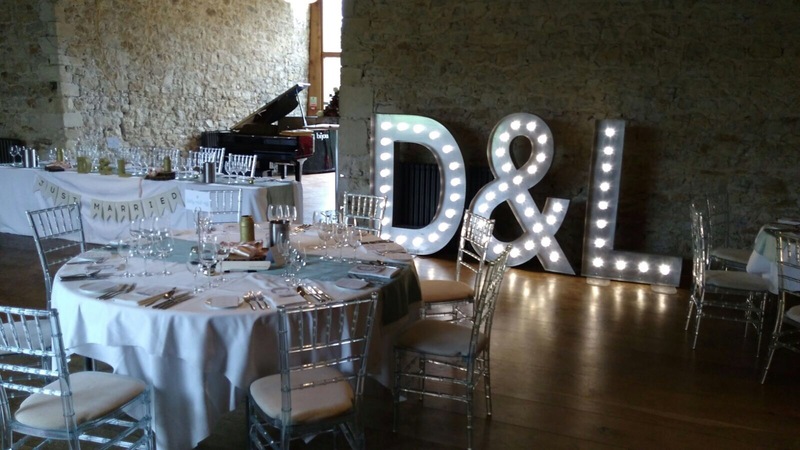 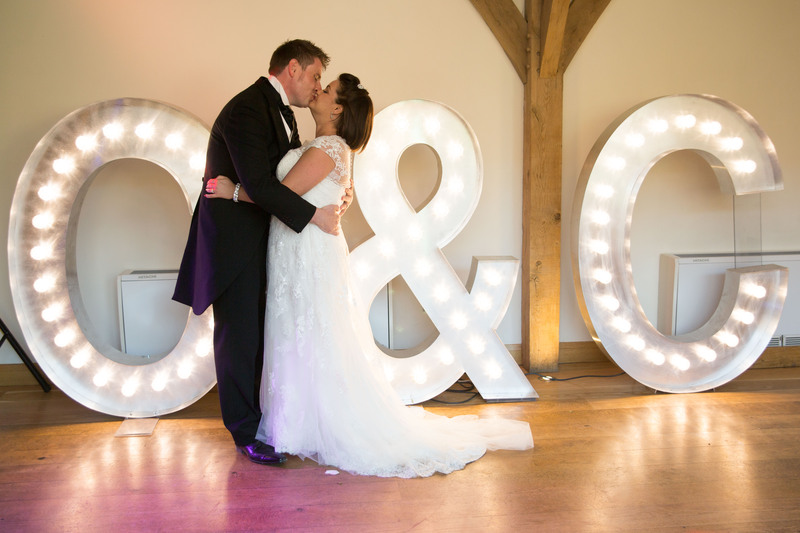 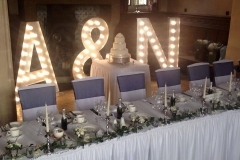 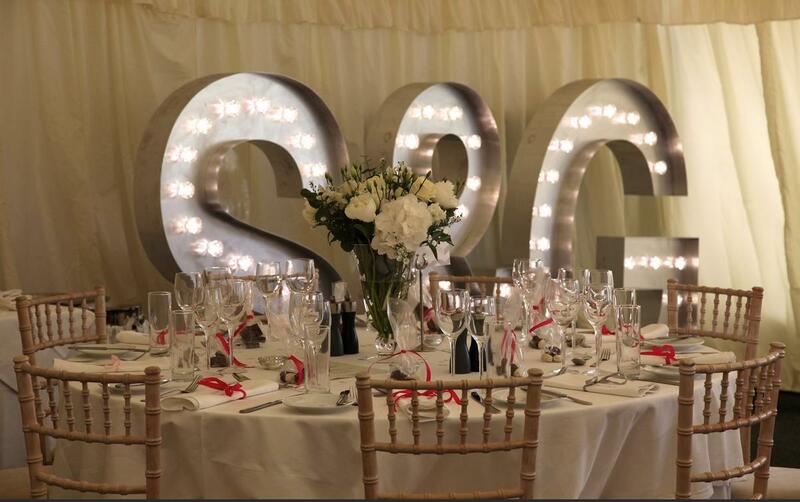 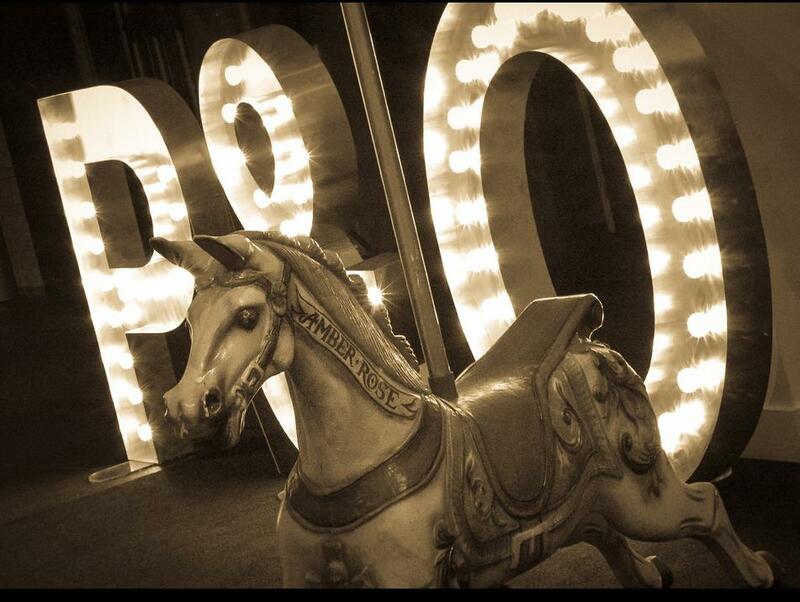 We stock a range of marquee letter lights, ampersands and light up numbers that can meet your exact requirements. 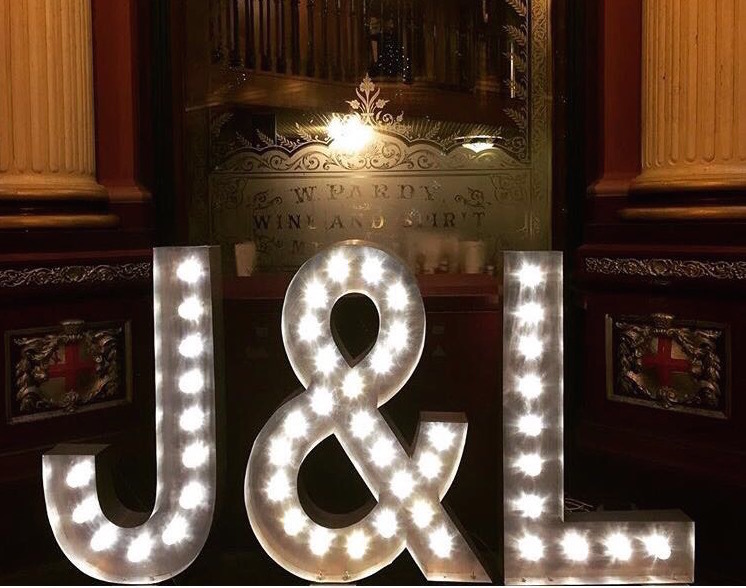 Our products are becoming more and more popular at reception venues, birthday parties, and corporate events, and rightly so. 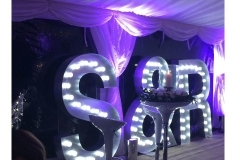 The lighted marquee letters stand 5’ tall and each come with their own power lead which can be placed in any order you wish and wherever you want. 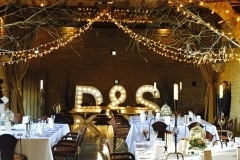 Of course, the LED bulbs are heat-free and safe for your guests. 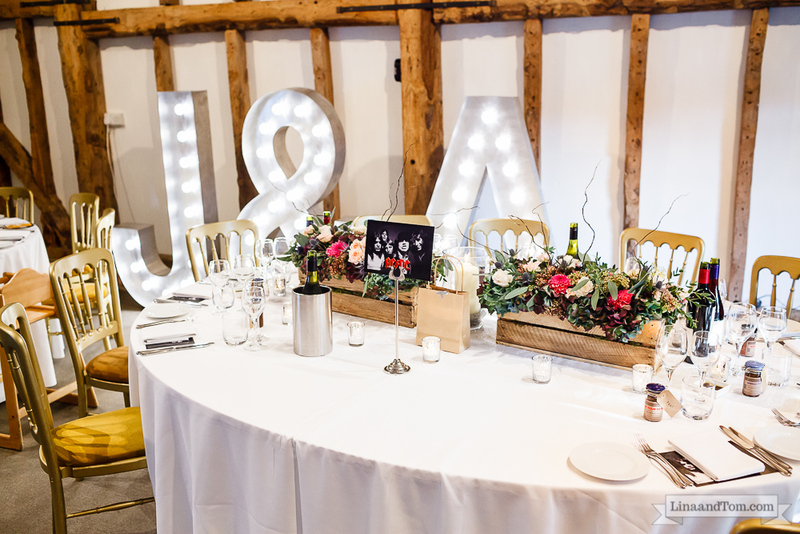 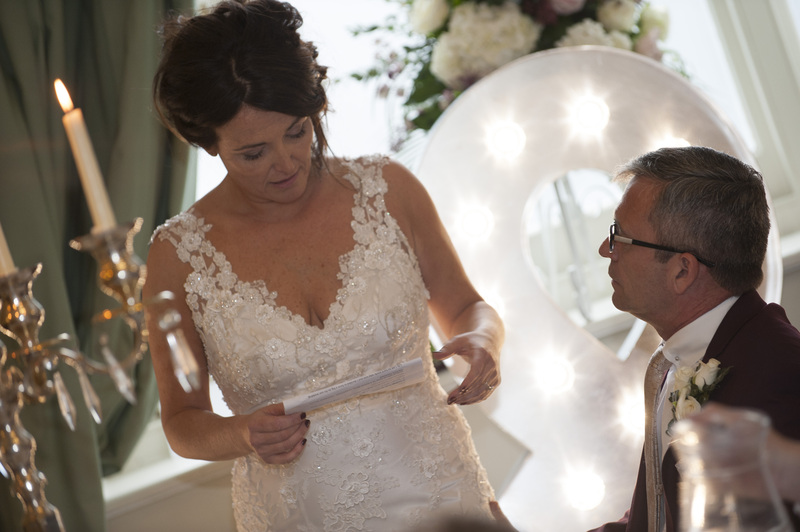 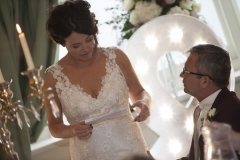 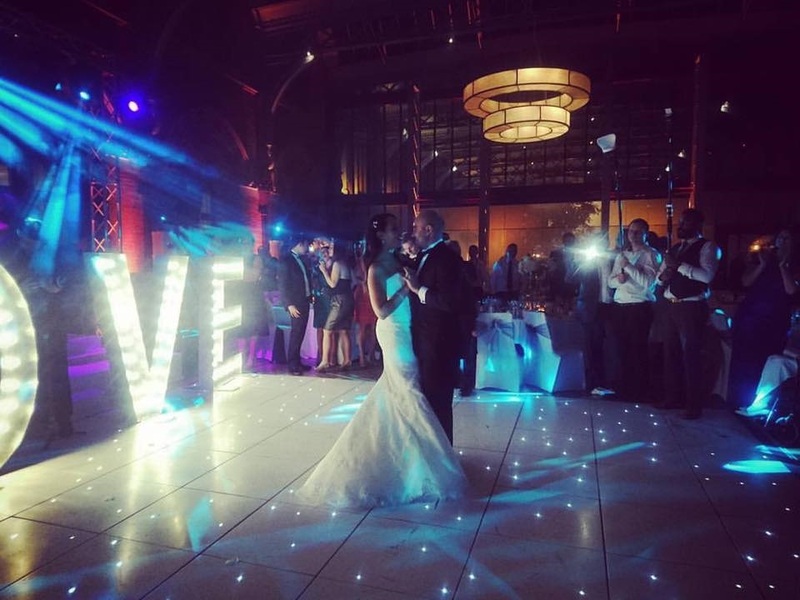 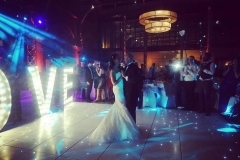 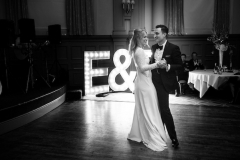 Adding a romantic feel to your wedding by having your initials lit up for everyone to see is a stylish statement of your love, and celebrates your union. 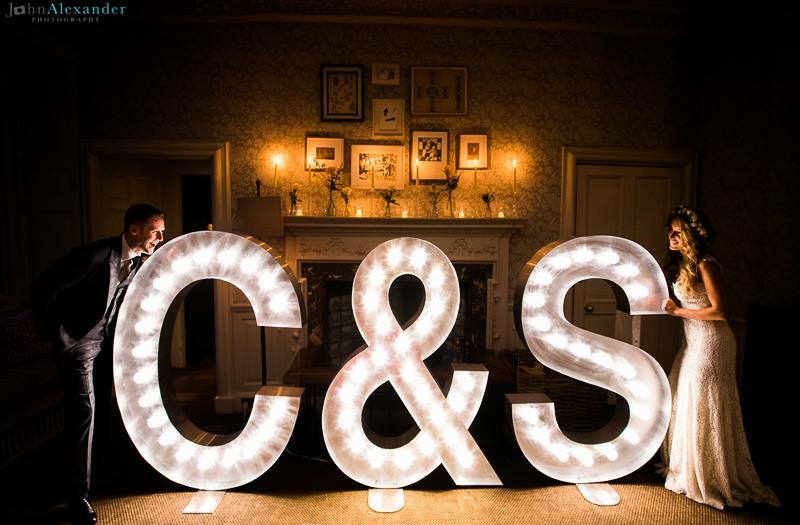 Gone are the days of carving initials into a tree – our light bulb lettering will add a touch of sophistication and glamour to your celebration. 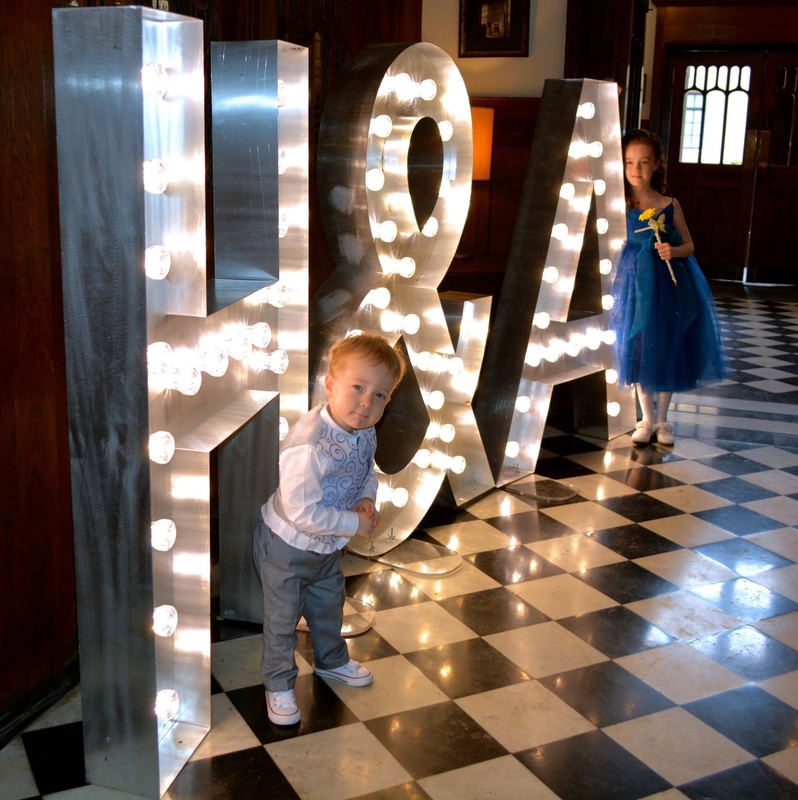 Each letter and number is lightweight, freestanding and handmade right here in the UK. 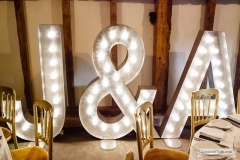 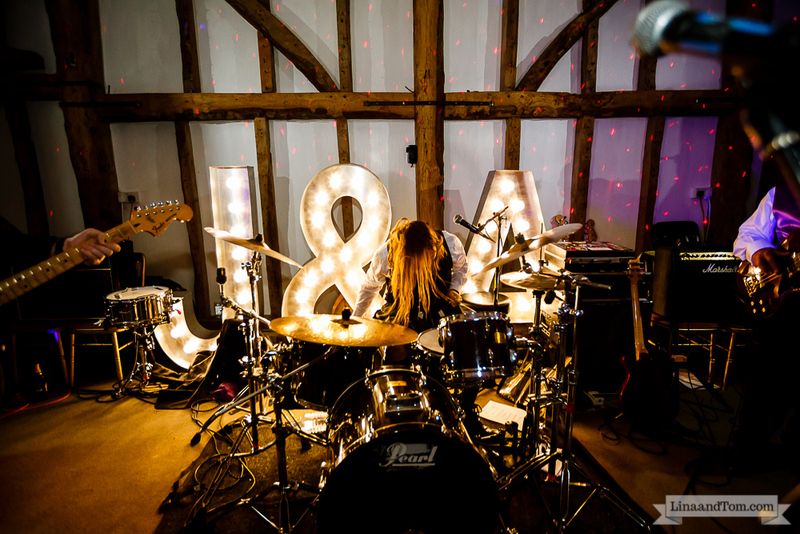 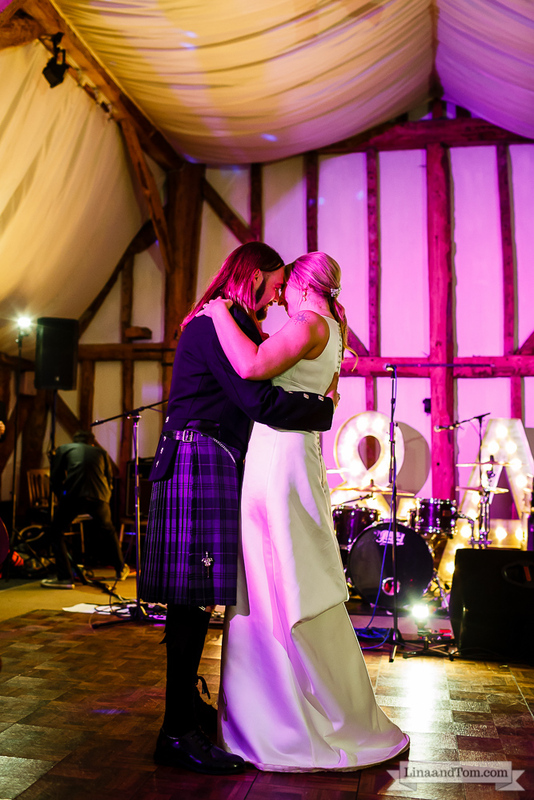 We deliver from our prop hire depot in London, to anywhere within the UK by arrangement, meaning that anyone can now benefit from the impressive, stylish lights wherever they are. 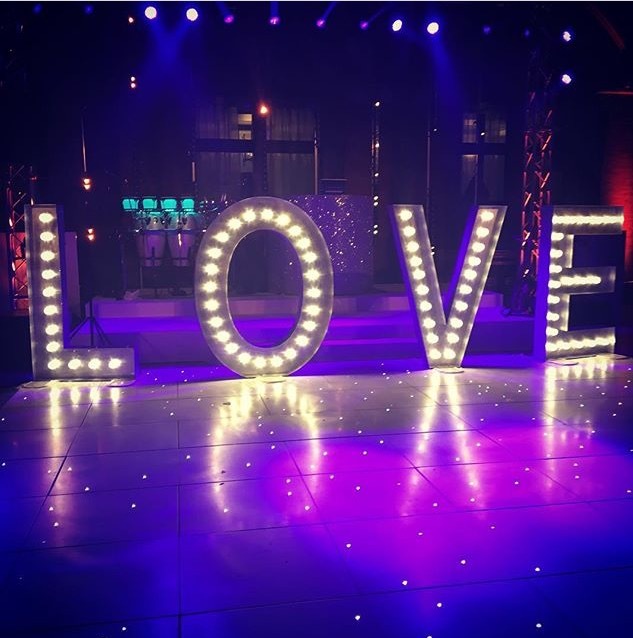 In addition to light up initials, our fairground circus style lights can be used to spell out words which are personal to you. 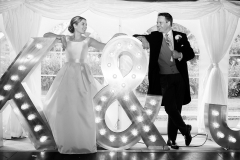 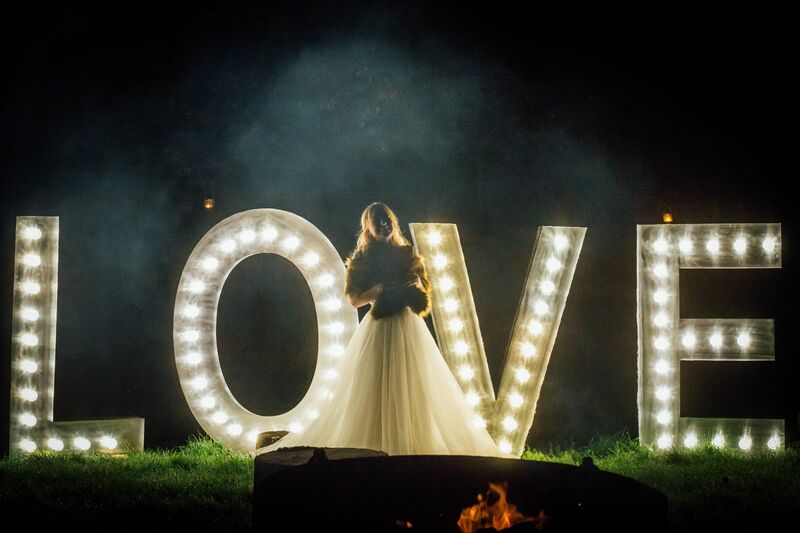 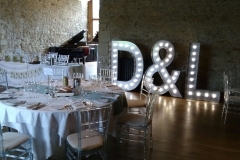 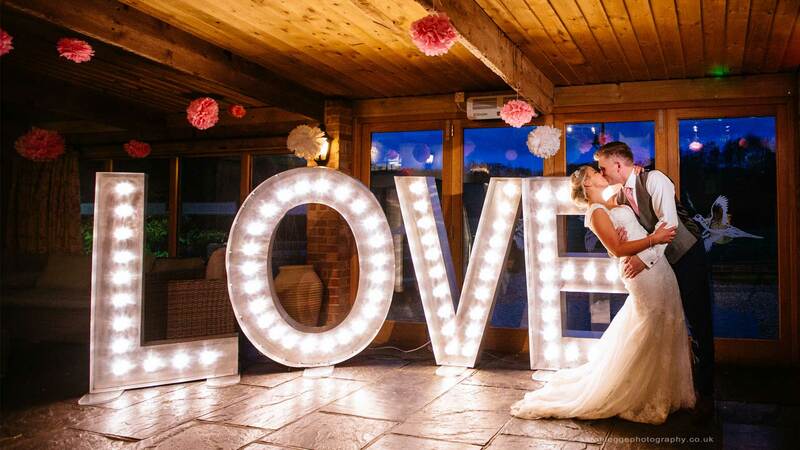 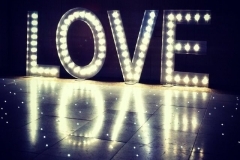 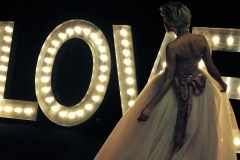 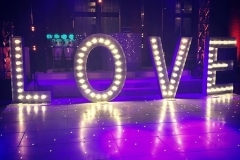 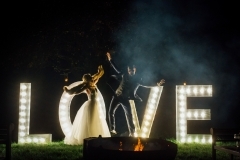 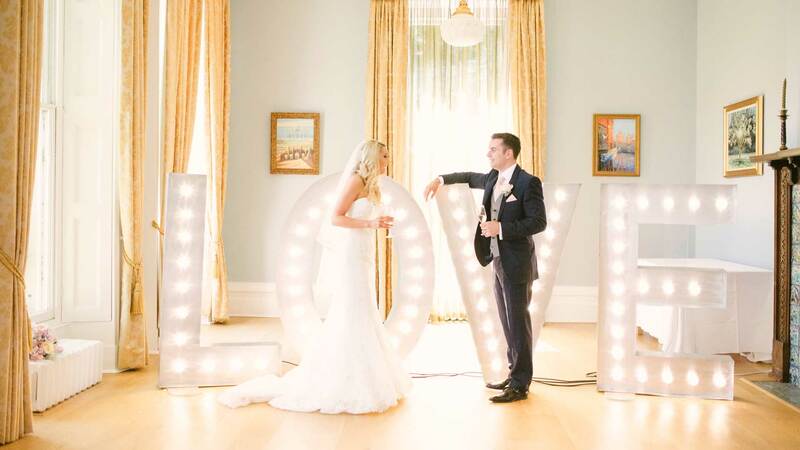 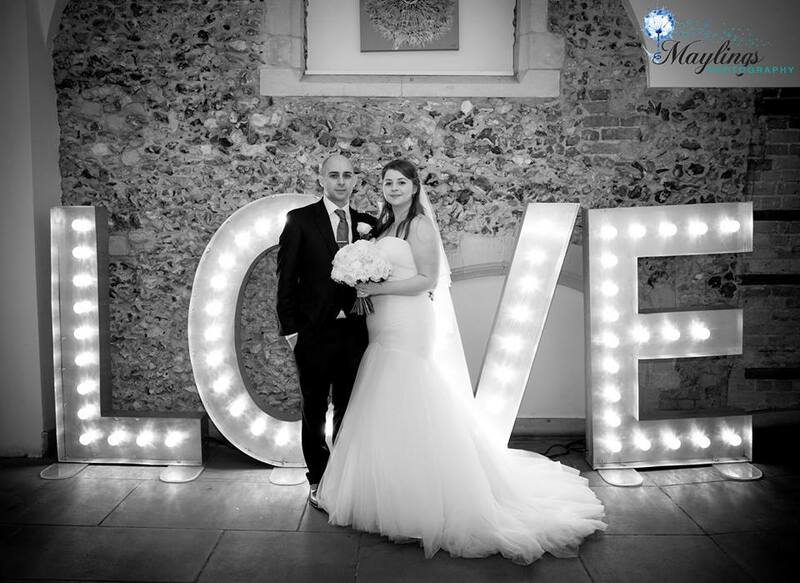 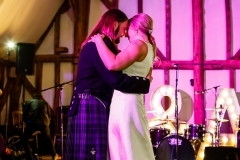 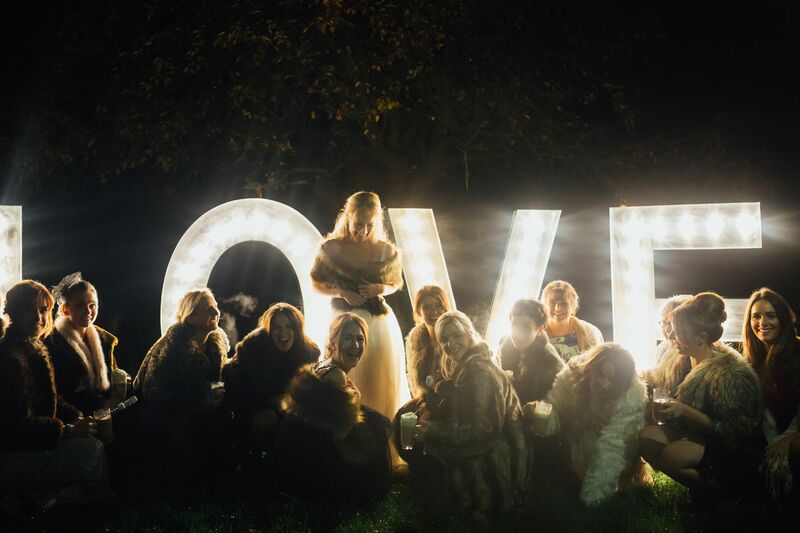 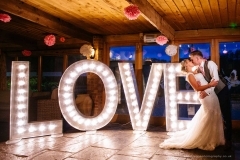 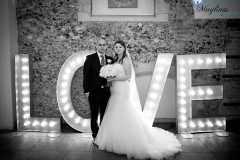 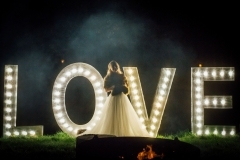 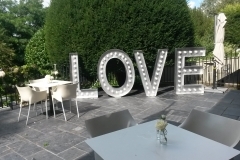 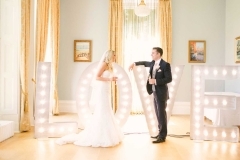 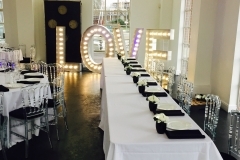 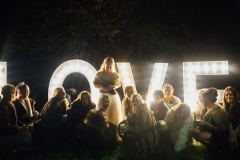 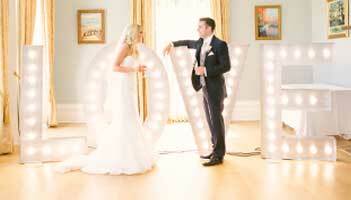 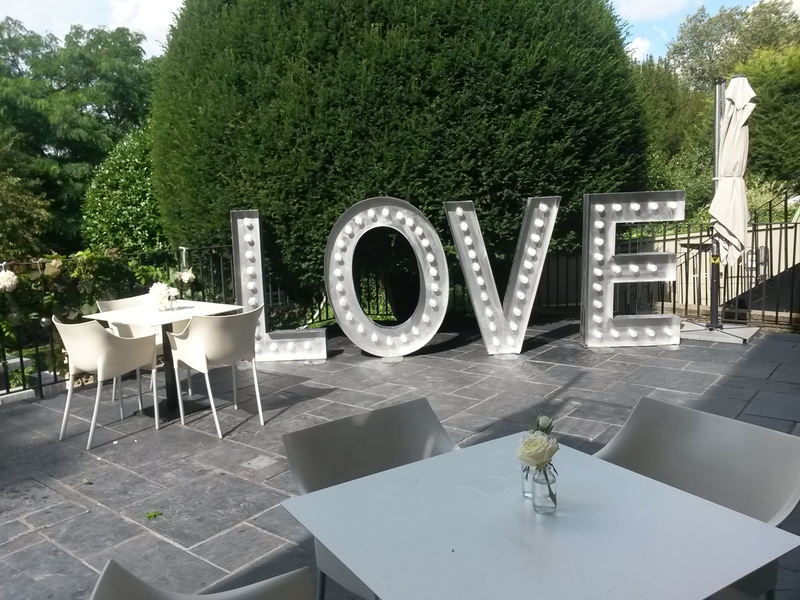 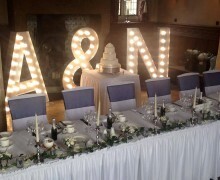 The light up LOVE sign is a popular choice, as is the MR and MRS sign. 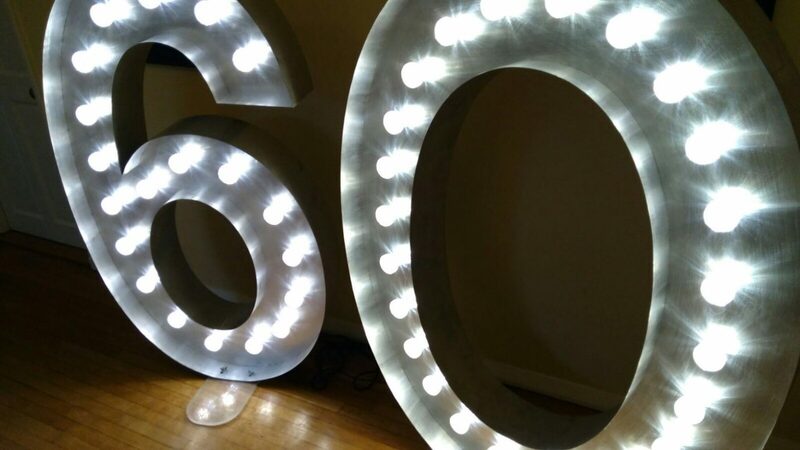 For corporate events, freestanding light up numbers can be used to display your company launch date and is something that will get your guests chatting. 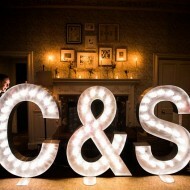 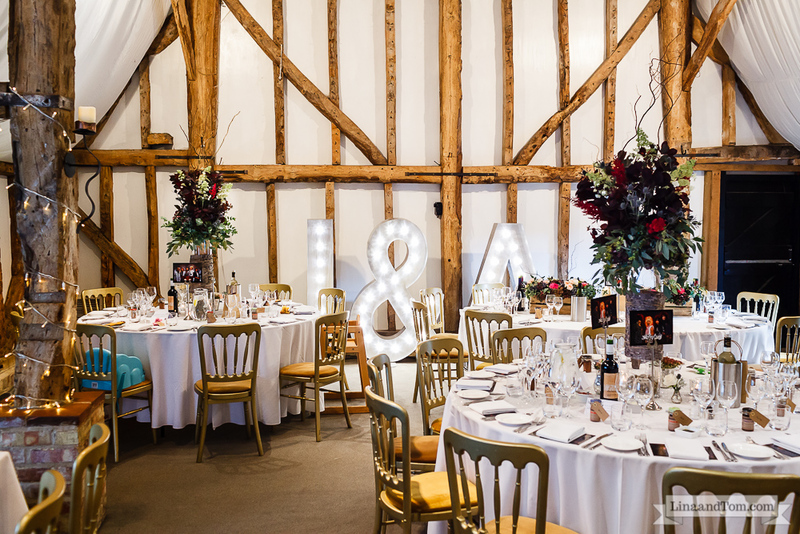 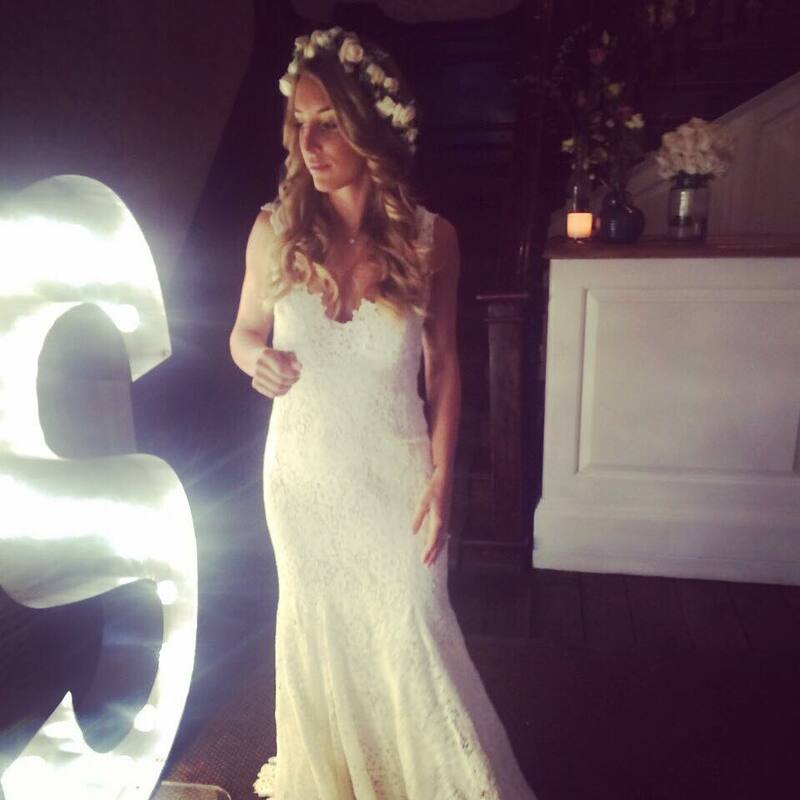 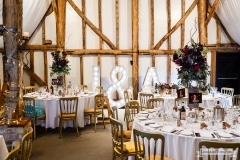 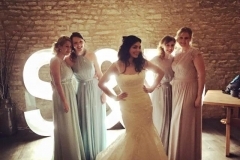 What’s more, having illuminated numbers or your initials in lights at your reception comes with an added bonus. 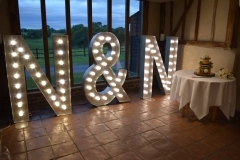 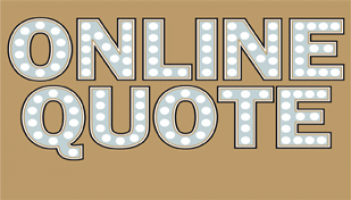 Not only do they act as bright lights, the giant freestanding bulb signs also provide decoration, which means they add ambience to dark walls and character to otherwise bland marquees. There’s an abundance of ways in which you could incorporate our bulb signs at your next big event – all you need is a bit of imagination! 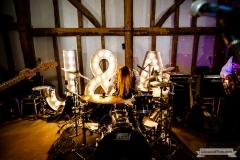 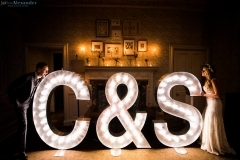 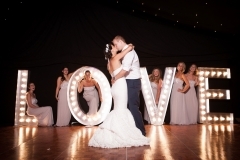 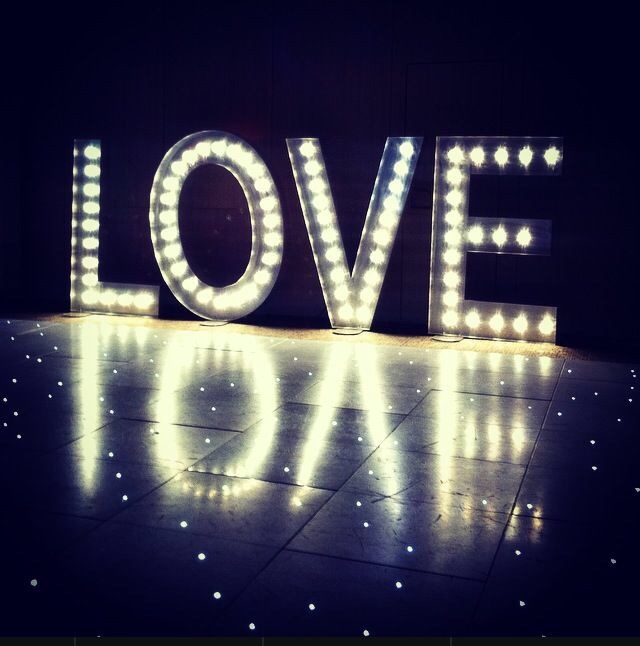 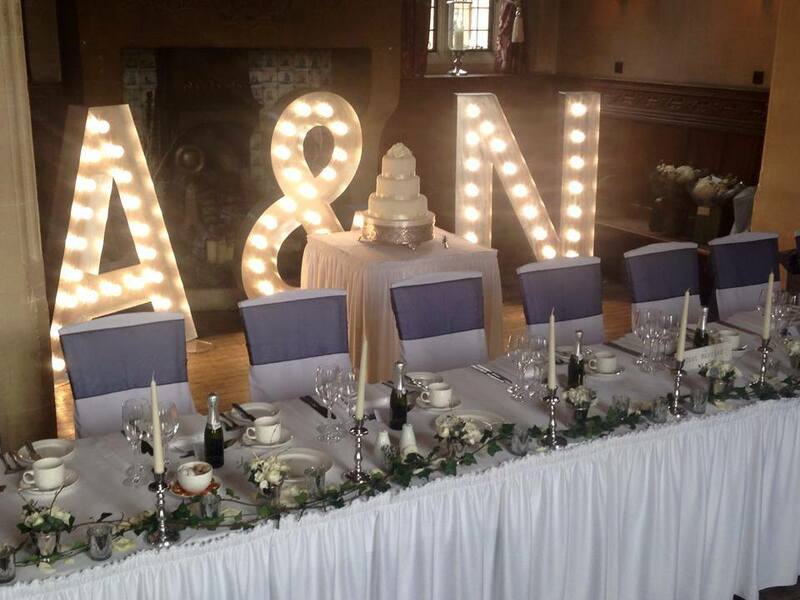 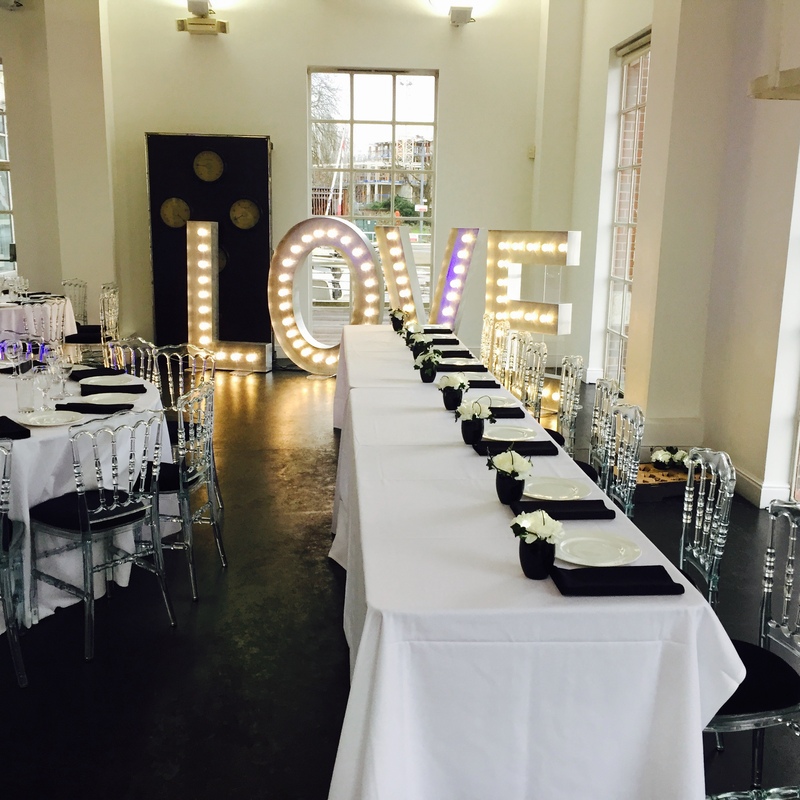 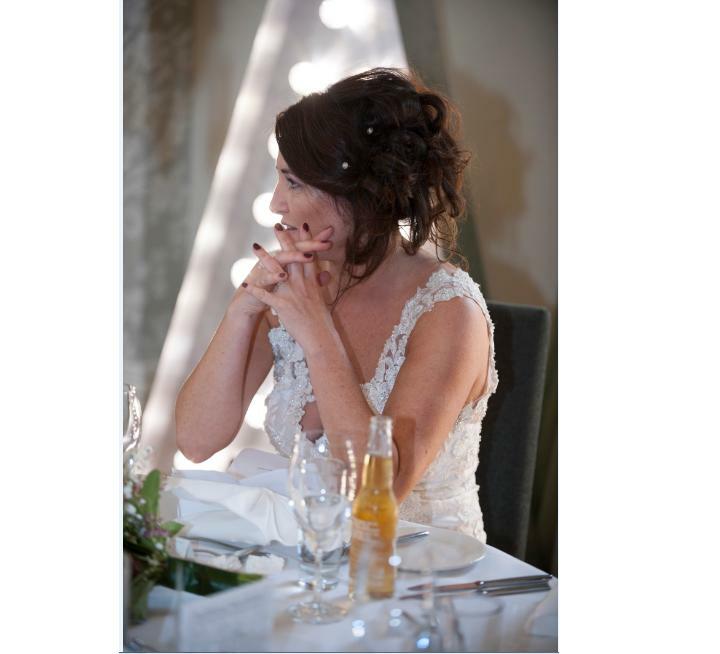 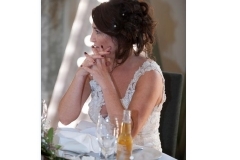 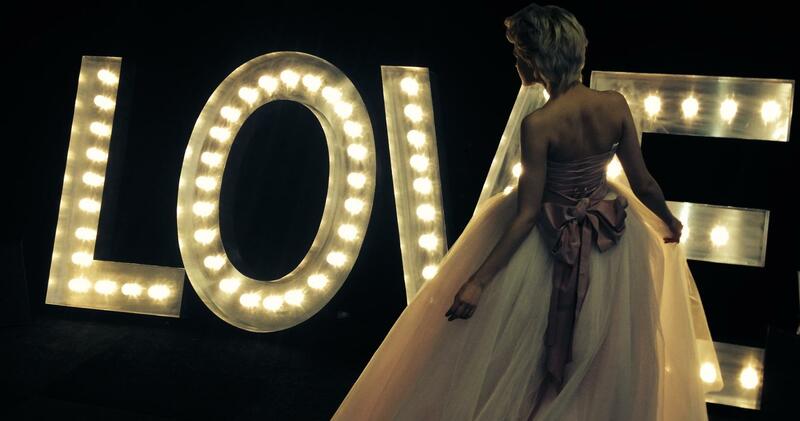 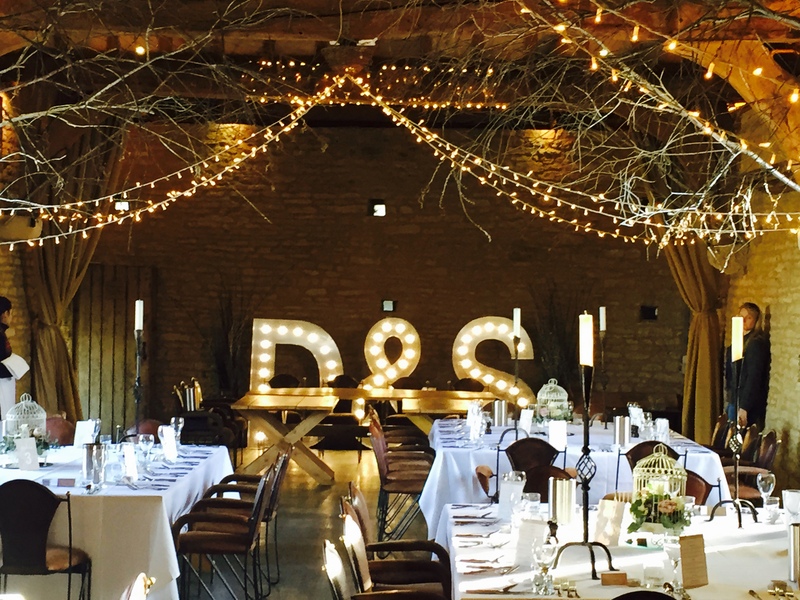 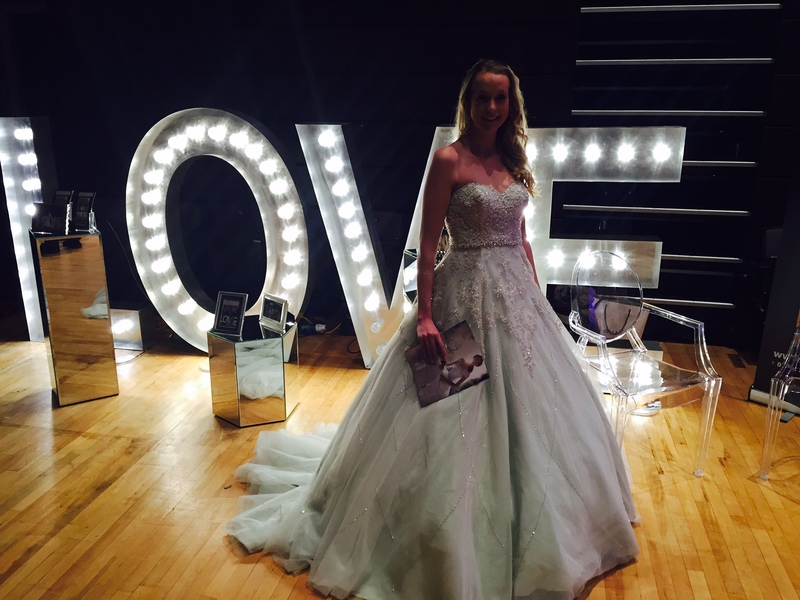 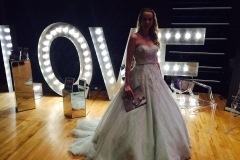 Simply contact us for more information or request a quote on our light up wedding initials.